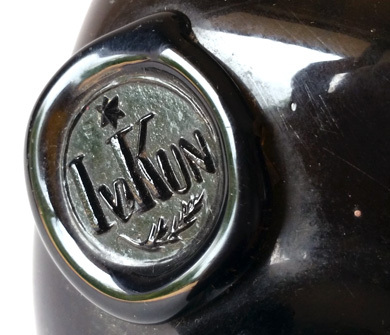 SEAL : " I v KUN "
The bottle featured on this page is a magnificent example of an early freeblown black glass gin. Unfortunately at this stage there is no history available on the company "I V KUN". 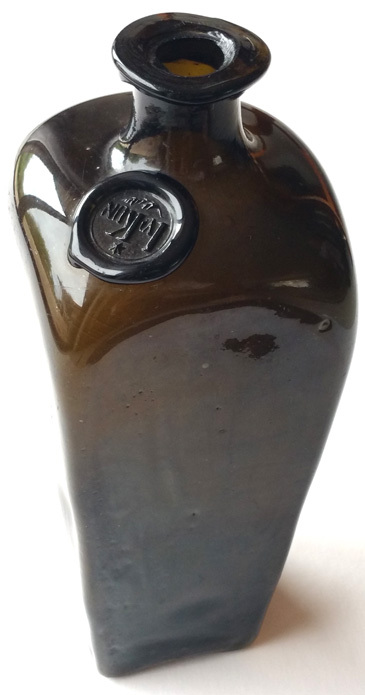 Note in the picture, above right, how the flare lip has been crudely tooled onto the top of the bottle. The quality of the strike in the seal is superb. 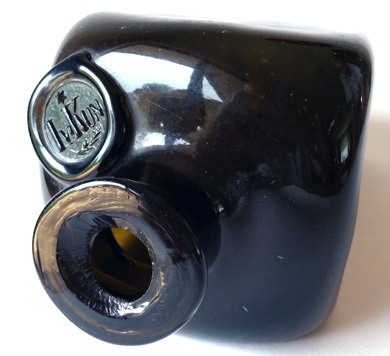 Theo Hulst is the proud owner of this rare bottle, and he has kindly granted permission to share these pictures so that all collectors can appreciate the individual characteristics of this fine piece of glass.